In the last week, two Palestinians have been sentenced to prison terms for online libel and slander of politicians. Meanwhile, an arrest order has been issued for a popular Egyptian satirist, raising fears of a crackdown on freedom in the region. The Magistrate's Court in Salfit, West Bank, sentenced a 29-year-old Anas Ismail to 6 months in jail, on charges of "libel and slander against former communications minister" as he was found guilty of “Liking” hostile messages towards the politician on Facebook. 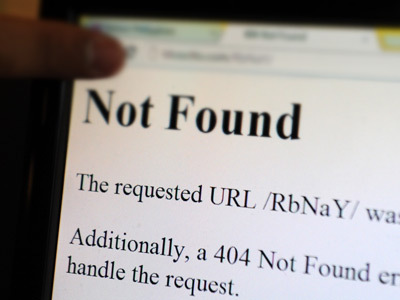 One of the posts demanded the dismissal of the politician and another phrase demanded accountability from the minister. According to Ismail, "Preventive Security locked me up for 17 days, on charges of libel and slander, and last Thursday I was sentenced in absentia by the Court of Salfit to six months in prison,” quotes Alresalah publication. 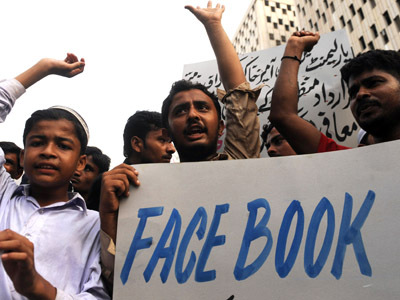 Ismail, who works in computer programming and is active in social media said "I was summoned 10 times in the past six months over my activity on social networking pages." Also on Thursday, a court in Bethlehem sentenced a journalist to a one-year term for publishing a photo on Facebook comparing President Mahmoud Abbas to a traitor. Hamamreh was found guilty of insulting the president and, "spreading seeds of hatred" and "publishing false information." The next day, Abbas pardoned the journalist saying his office never filed a complaint against Hamamreh. There are signs of increased surveillance and repression on social networks across the Middle East. In February, a Palestinian court in Nablus sentenced 26-year-old university student Anas Awwad, to one year in prison for posting a picture of Abbas as a Real Madrid player. Awwad, too, was later pardoned by Abbas. 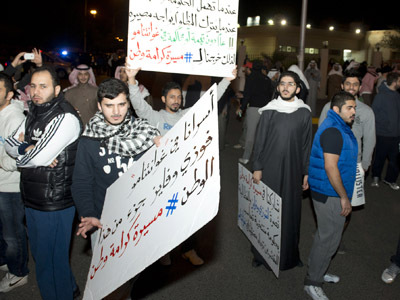 A Kuwaiti opposition youth activist was given the maximum sentence of five years in prison in February for insulting the 'inviolable' emir on Twitter. 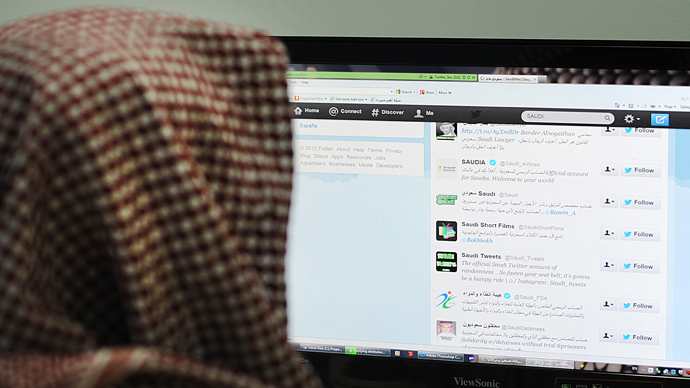 Meanwhile, the Saudi Arabian Communications and Information Technology Commission (CITC) is looking at the possibility of forcing social network users to reveal their true identities. And, late last year, lawmakers in the Arab Emirates introduced jail terms for all those who incite public protests and insult the state and its rulers online. 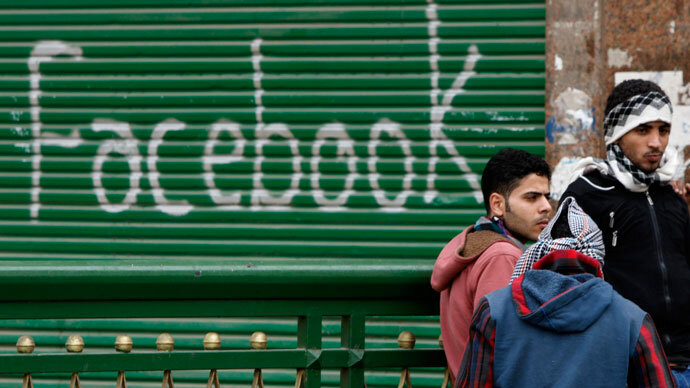 Egypt, which has been at the frontline of the Arab Spring has also seen a wider crackdown on online opinions it finds distasteful, particularly those targeting the ruling Muslim Bortherhood. On Saturday, Egyptian state prosecutors ordered the arrest of a popular television satirist for allegedly insulting Islam and the country's leader President Mohamed Morsi. Complaints were filed by 12 people following Bassem Youssef's remarks on March 1 in which he mocked the president's February interview with TV anchor Amr El-Leithy. The host of the weekly comedy show 'El-Bernameg,' which is broadcast on a private satellite channel, spent five hours at the public prosecutor's office on Sunday before he was released on bail. He was ordered to pay around $2,200 in fines. Bassem Youssef's arrest warrant came on the heels of the detention of five prominent pro-democracy activists. Last summer, Egyptian authorities arrested a minority Coptic Christian teacher for allegedly posting cartoons on Facebook that insulted Islam - charges that are becoming a common theme in a country ruled by an Islamic government.